Roof Replacement – When Is The Best Time To Install A New Roof? If you need to replace your roof, the big question is when to schedule the install? In addition to considering your own convenience, it is important to know that many roofers adjust their labor charges based on slow vs busy work seasons. Moreover, depending on the roofing material you want, there may be weather and temperature related restrictions that will impact your timing. When is the WORST time for a roofing installation? Many home improvement experts recommend that the overall best time to get a new roof is in the fall. If you poke around the internet for advice, the fall season is most likely going to be a highly popular suggestion. However, as you will learn in this post, fall is actually one of the worst times (from a homeowner’s perspective) to get the job done. Roofers recommend it, because this is the time they can charge premium for their services. The short answer is: get your roof installed during the SLOW season for contractors. Most contractors have busy season(s) and slow season(s). During the slow season, you will get numerous benefits that would not be possible at another time. 1) You will likely negotiate a better price. 2) There will be less stress and frustration, and good relations with the roofer. 3) You will likely get better installation quality. 4) You will not have to wait 3-6 weeks for your project to get started. Keep in mind, that this will not apply to all roofing companies in your area. Some contractors are so well established that they have more work than they need, all the time. These are usually larger companies that have an recognizable brand name. As a result, they are not interested in giving any discounts, just to get a new client. At the same time, there are enough medium and small local roofing businesses that do experience a seasonal slow down in their work load. Many are more than happy to offer a few perks to get a new contract. 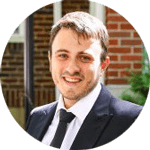 You just have put in some effort to get quotes from a number of pros, rather than agree to work with the first roofer that walks through your door. When contractors are busy, they can cherry pick good (easy and profitable jobs) and will typically bump up their prices by 5-15% – this is all supply and demand. During a slow season, competition is higher, and most roofers naturally resort to lowering their roof installation cost to win as many jobs as they can. Hence, you should schedule your install during the off-season. When you as a client have to wait 4-6 weeks to get your roof installed, you naturally get anxious and frustrated, which increases unnecessary stress, drives up blood pressure, lowers libido 🙂 and decreases life satisfaction overall. Indeed, it is not pleasant for both parties involved. Thus, contractors naturally let these calls go to voicemail, because they do not want to repeat the same story of “we are busy with prior commitments, and it’s been raining for a week – we will not be able to start for at least another 10 days. All this stress, mistrust, and unnecessary tension is easy to avoid by simply scheduling your roofing project during the right time. Since typically roofers are slow to get started on new projects, they will not be in a rush to get your roof done as fast as possible. This can and often will result in corner cutting and overall lower work quality. Example: A contractor typically has two 6 men crews. Each does a regular 15-20 squares roof in 1 day. If he is overwhelmed with projects, he can split the workers into three 4 men crews, and have each one do the same amount of work. 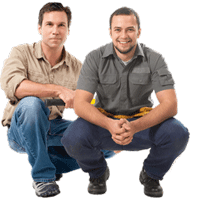 Not only is this very stressful for installers to be down 33% on each crew, they also have to work longer hours. As a result, they start cutting corners, skipping nails (literally – instead of putting 4-6 nails per shingle, the can put 3 nails), missing straight lines, rushing through chimney and skylight flashings, “forgetting” to install ice and water shields in valleys, etc. Examples and possibilities of this poor workmanship are endless. All this will result in frequent leaks and will significantly decrease the service life of your roof. The worst part is that you will have no idea that this is going on. In fact, many homeowners pay a premium for high-end roofing materials, only to end up with problems soon after the install. Its important to realize that no matter how expensive your roof is, it will not perform well without careful installation, which has been done according to all building codes and manufacturer specs. From my experience, many people who “needed” a roof during a busy season, sometimes waited as long as 5-6 weeks or more. One of my own clients had to wait 2.5 months! This happened because we were swamped with work, and had emergency jobs that had to be started immediately, Moreover, due to unpredictable weather (rains / snow / hurricanes), we just could not start the job any sooner. On the other hand, our normal lead times are about 2 weeks, which includes getting the materials from the supplier, getting all the equipment and permits ready and starting a job. If the job is an emergency type, we sometimes can start as soon as a couple of days after the deposit funds have cleared with our bank. This is, of course, my personal experience, but most roofers are on the same or similar operating schedule. Another ( pretty bad) option that many busy contractors resort to is starting a job, just to please the customer and then leave for 2 weeks. At best, they will have a couple of workers come in to do the prep work. This all results in unnecessary FRUSTRATION for both you and the roofer. Some roofs can only be installed in particular weather and temperature conditions, in order to ensure optimal performance. If these manufacturer specifications are not followed, you will end up with a failing roof very fast. – Asphalt shingles need to be installed when its warm outside (40 F degrees or more). In colder weather, the shingles’ sealing strip will not adhere properly, and there will be increased potential for invisible cracks. – EPDM Rubber Membranes, and IB DeckShield roof decks, require warm temperatures for the adhesive to dry. It is recommended to install them when the outside temperature is above 40 F degrees. 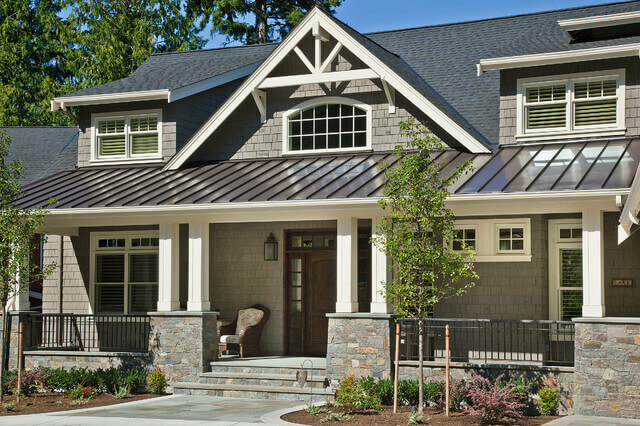 – Metal shingles and standing seam roofs may be installed in any weather, including cold temperatures. – Thermoplastic single ply membranes (TPO / PVC) with heat-welded seams can also be installed in cold weather. When is the BEST time to have your roof replaced? This is THE QUESTION, and there is no one definitive answer, considering all the regions and time zones in the US. Fall is the worst time to get the roof done! This is the time when most people realize that winter is just around the corner, and it is crunch time to do their roof before the first snow. Bad, bad, bad! During the fall, we have the longest lead times. Some roofs naturally get pushed into the winter months, because while it is still warm, we need to do those jobs that require warm ambient temperatures. Roofs that can be installed during cold weather, get pushed off until later (unless a roof is leaking badly and needs immediate replacement). During the holiday season preceding new year, most people spend a boatload of money on gifts and parties. Naturally, most people are broke after New Years, can’t afford a roof during the winter, and wait until the spring to get the ball rolling. During winter months (especially in the northern states and in Canada) many people are reluctant to install a new roof, as well as other exterior projects, because of snow and cold weather. So they wait until spring. Generally, this is the right approach. However, there are some exceptions, which we will discuss below. After the holiday season and the long winter, most people file their tax returns and await the refund checks. Once spring rolls around, people catch up on their finances, get tax refunds and are no longer worried about cold weather and snow. This is when the spring construction rush begins. If possible – avoid installing your roof until May. After the spring rush, most jobs get completed, and summer is a somewhat slow, but steady time for roofers. This is a VERY GOOD time to have your roof installed. many people go on summer vacations, and with Memorial, Independence and Labor day holidays, many homeowners naturally try not to do any major construction projects during this time. If possible, schedule your roof installation between 4th of July and Labor Day. If your roofing material or geographic location allows for an install during the winter, this is the BEST time to have it done! Most roofers are hungry for work and lower their prices in the winter. In particular, this is a great time to get a high quality metal roof, with the best (lowest) price, as well as with minimum stress! So, take advantage of this. 1) Schedule in advance. This will give you the best chance to have a timely job at the best time for you. 2) Avoid seasonal increases on roofing materials prices. Most suppliers raise prices in the Spring and Early Fall. Schedule your job BEFORE this. 3) Use our Roofing Calculator to estimate your roof cost based on your specs and geographic location. This information will also allow you to negotiate with real contractors, who may try to scam you into paying too much. 4) Get at least 3-4 free quotes from licensed and insured pros. Avoid using fly-by-night uninsured roofers – your warranty will be gone as soon as they leave the job site with the final payment. a team? Contractors? Do you allow for guest writers? 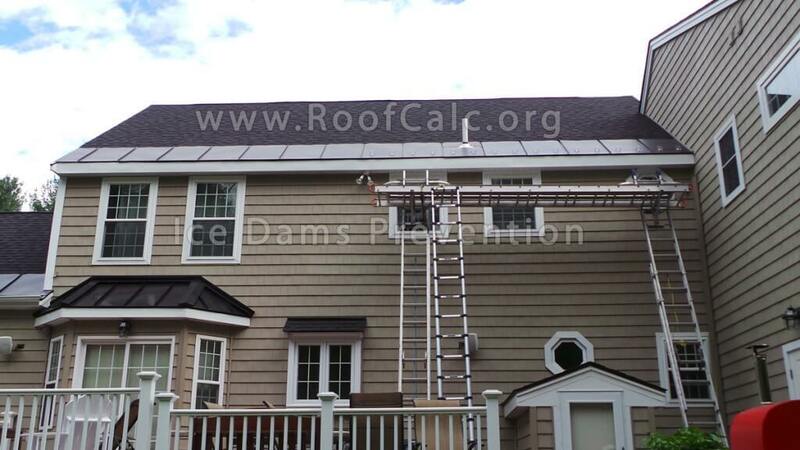 You can contact us via email (info @ roofcalc.org) and we can discuss this. It’s great to know more about roof replacement. I like how you said that it’s good to get a new one during the slow season because than you can negotiate a better price. We’re hoping to replace our peeling asphalt shingles soon, so this is great. I like how you explained that most contractors have a busy and slow season, and during the slow season you can possibly get more benefits. My husband and I live in an old house and are thinking about getting our roof replaced just to make sure that it doesn’t start leaking or anything. We need to start finding out when the slow season is our area so that we can get it done then. I’m glad you talked about the importance of looking for the right season to be able to get serious roofing repairs done since there are peak and off-peak seasons when it comes to getting the roof of a house done. 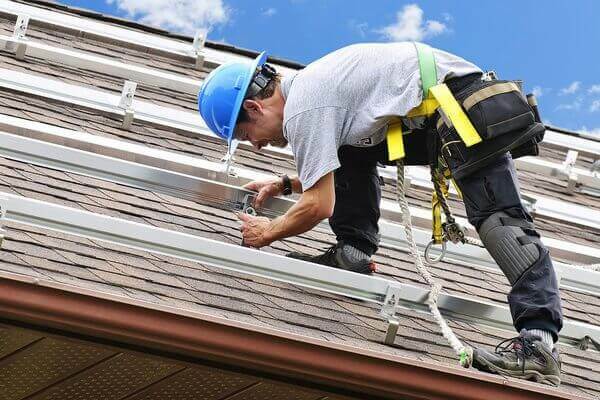 When hiring a roofing repairman to get some outside work done, it’s usually best to look for a time between slow seasons so that you can get the most out of your money. I’ve been trying to look for a roofer for weeks but due to the oncoming repair season, a majority of roofers have been booked solid. With this article, I’ve learned to always look for the best time to call for roofing repairs since my roof tends to spring leaks shortly after winter and then again shortly after the summer season. I thought it was interesting how the article talked about how Fall is the worst time to get a roof replaced or repaired. My father has been considering hiring a roofing contractor to look at his roof and either repair or replace it so that he can sell it and buy a new home. It seems like it would be better for him to get it looked at during a season other than the fall or winter. I was surprised to read that asphalt shingles need to be installed when its at least 40 degrees or warmer. This is great to know! I can get my shingles replaced right now if I really wanted to. Some of them are cracked and missing, so I want to get them fixed before they get worse. I’ll start looking for a roofer near me that could help me out. Our roof is leaking a lot so we need to find someone to replace it. Your information that the average cost for a replacement is around $5,000 and that we should get it replaced in the summer or winter is very helpful. We will start looking into roofing contractors to help us. You mentioned that we should avoid seasonal increases on roofing materials prices. Its great to know that these prices rise in the spring and fall. I need to get a new roof because mine is almost completely naked. I’ll be sure to start looking for a roofer now before any of their prices go up! It’s great to know more about getting a new roof. Our roof is definitely at its age limit, so this is fitting for us right now. I’ll be sure to not get a new one in the fall, like you said here. I’ll remember that, especially since it can help us save some money! I thought that it was interesting how you said that asphalt shingles will need to be installed when it is at least 40 degrees outside. A tree just fell on my house because of a horrible windstorm, which resulted in me needing major roof repairs. I’ll be sure to find a roofing company and schedule a day that will be about 40 degrees so they can work on it. I like how you mentioned that during the busy season, you might need to wait as long as 5+ weeks to get a new roof. It makes sense that you would want to plan ahead! I have noticed that a lot of shingles on my roof are cracked, so I think its about time I get a roof replacement. I’ll start looking for a roofer near me so I can discuss when the best time to get a new roof would be. I was surprised to read that during the slow season, you will likely get better installation quality. It makes sense because a roofer could spend more time on my roof! My best friends roof is starting to cause problems for her whole house, so I am going to let her know these tips. Its a slow season for roofers where I live, so she should probably start looking for a company to install a roof soon. I really liked what you said about summer being a slow season for getting your roof installed. My husband and I need to replace our roof next year so we want to schedule it for a good time to get it done in a timely manner. Thank you for the information about how good of a time summer is to get a roof installed since fewer people schedule during that time of year. I like the tip you give to try and get a new roof installed in the summer or winter. I have been thinking about getting a new roof put on my house for some time and I would have thought that summer would be the busiest time for a roofing company. I’ll have to keep this in mind and get a new roof put on my house this winter since it does not snow where I live in the winter. I really liked it when you said that since summer is when most of the holidays happen, it is the best time to get the roofing done because a lot of people avoid this. Then I will wait until next summer to get the roofing job done. The roof isn’t exactly too damaged. I just want to get a few things replaced. But since I know that I will have a lot of competition, I’ll just hold it off. Aside from this, I have another house that I can stay in if ever something happens. It’s cool that you will most likely be able to negotiate for a better price is you get your roof down during the slow season. My shingles are curling, so I’ve been looking for a roofer to help me. Also, so you have any more tips for hiring a roofer, rather than getting multiple quotes? I didn’t know that some roofs can only be installed in particular weather and temperature conditions. That’s good to know since my roof needs to be replaced. I figure that it shouldn’t too much a problem for me since cold weather isn’t something I’ve got to worry about. I’ve been thinking that it might be time to get some work done on our slate roof, but I’m glad I came across this article before I arranged anything! It’s really great to know that you can make sure that the roofers take time to do quality work if you catch them in the slow season. I’d love to be able to help them work shorter hours overall too, so I’ll wait until the slow season. It is interesting to learn when the busy and slow seasons are for roof replacement services. If I ever need my roof redone, I will try to do it in the summer or winter when it will be slower and less expensive. I will have to remember all your advice on the best time to install a new roof! I’m torn in choosing between a wood and metal shingle roofing. I know that it’s time to replace our roof, however, I cannot decide for its materials although we’ve got a wooden roof at the moment. Can you please help me decide? It’s good to know when to replace a roof. Our roof has been taking a beating, and it’s 20 years old, so it’s about time to change. I will make sure to avoid getting a new roof in the fall! I appreciate the information you have here for getting a new roof. I can definitely see why it’s best to get a new roof during the “off-season,” like you said. It’s good to know that there can be a wait during busy season to get your roof installed. Lately, I’ve been dealing with leaks and want it fixed. I hadn’t thought about how winter would be the slowest season for roofers. It does make sense, though, and hiring a company to install a new roof during this time would be a win-win situation. The roofers would have work and you would have a better price and a less stressful experience! Hi! I have been thinking of replacing my roof, but I didn’t know when to get it done. Thank you for your tips. I would base my plans on this. 😀 And I also agree that summer is the best time to replace your roof, because my family usually goes out of town during the summer months. There wouldn’t be any problem with things like where to stay, while construction is going on. Thanks for the great tips for getting a roof replaced. I didn’t realize that the fall was a bad time to get the roof repaired, but what you said makes sense. I hadn’t thought about how rain or snow would put the roofers way behind schedule, and thus frustrate me! I guess summer is the best time. Great read. Timing and planning is key to a successful roofing project. Just my 2 cents! It sounds like smart advice to know about doing your roof installation during the slow season for contractors. What would this season be during the year? I need to get a new roof on my house soon. I had no idea that the best time to get your roof installed is during the winter. My neighbor just got their roof redone and they did it in the spring. I never knew that the spring was one of busiest times for roofers. I will have to remember that if I ever need to get my roof redone. Thanks. It looks like the summer might be the best time for us to install our new roof. We have been putting it off for a few months so that we could save up some money. We will have to talk with some contractors and see what their opinions are. Replacing your roof if it is really worn or leaking, I would agree is a good idea. That is smart to always have a professional roofer install your roof, so that you do not run into problems. 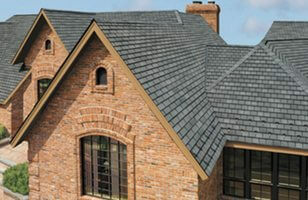 Getting a quality material made roof is definitely something that I would want in installing a new roof. It makes sense that roof repair companies would be really busy in the fall and the spring. People will want to wait until the weather warms up to do any repairs that might have been caused during the winter, and people might wait until the last minute to do any maintenance before the snow starts to fly in the fall. I’ll have to remember to try and get my repairs done during the slow summer season. Thanks for the tips. Thanks for talking about when to get your roof replaced. My wife and I have decided that we need to replace our roof and now we need to figure out when to do it. It makes sense that getting your roof replaced in the off season would give some major benefits. Looks like we should start searching for a local roofer soon. Thanks for the info! My husband and I have decided to replace our roof over the summer, so I’m happy that I found your post! I really like how you mentioned that the best time to have our roof installed would be between the 4th of July and Labor Day, because roofing companies are typically more available. We haven’t chosen a roofing company quite yet, but when we do I’ll make sure that we schedule the roof installation during this time frame. Thank you for the advice! Great advice on the busy season. It’s easy to wait till the last minute to get something planned so I can see how that would be. I didn’t know there was a prime temperature for roofing, but it makes sense. Great stuff to keep in mind, thanks! I have pretty much decided that I am going to need a new roof soon. I wasn’t sure if there was a time specifically that is just a lot better for installing a new roof. It is good to know that my own timing is the first priority, but I was wondering if there was a time of the year that might be cheaper. I will have to look into local companies and see if they are cheaper in the Fall or not. Thanks! Thanks for the tip to be aware of seasonal pricing. 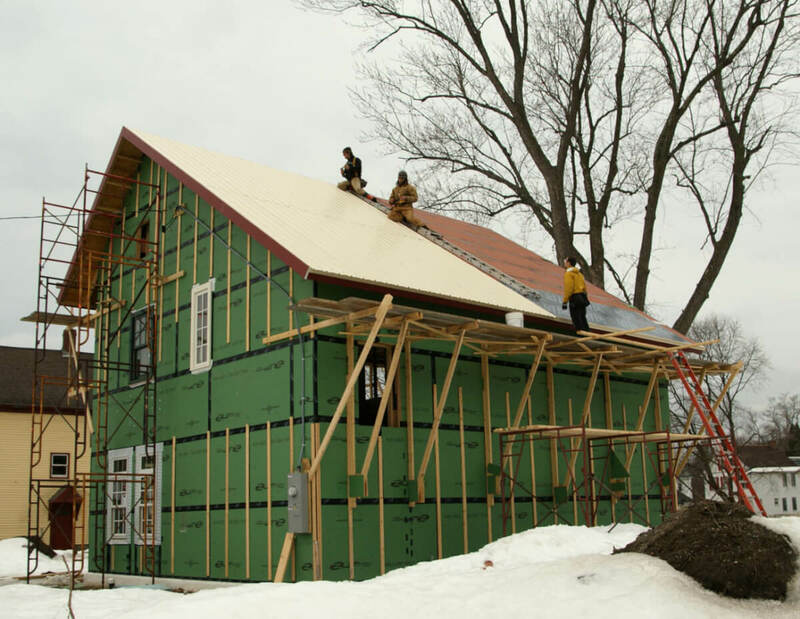 I worry about getting a roof installed in the winter months, because of snow, but if it’s doable, I’d love to have it done before the spring rush. However, If I can schedule an installation right before the spring price increase goes into effect, I’ll probably be able to get the best of both worlds – no snow, and lower rates! So, I guess I will never try to get my roof done in the fall. I actually would not have guessed it was such a busy time. I would rather have my roof repaired during the summer. One plus to this, is that once you have the contractor ready to start, you can go on vacation and not have to worry about the noise or mess, while they are working. These are some good tips for installing your new roof. Scheduling well in advance of when you want it done and being able to not rush the job is your best bet for getting the best roof possible. Thanks for the advice. I like how you said it’s easier to get a better deal in an off-season. Our neighbors just had their roof redone last month. Last month was December. We were blown away that they would try to take on a project like that in the middle of winter. We asked them why they did it, and they said it was because the rates were a lot lower in wet months. I’ll have to keep that in mind. Roof shapes differ greatly from region to region. The main factors which influence the shape of roofs are the climate and the materials available for roof structure and the outer covering. It’s true that when clients and contractors have to wait, their tempers can run high. It happened to me when I was building my house. I wanted my contractor to work faster, and he wanted me off his back. I wish I would’ve paid more attention to him and his situation. He was going through a lot of different things at the time. Wow, this is a really helpful article. So many people have told me that Fall is the best time to have a new roof installed, but it sounds like it’s one of the worst times. I will definitely wait until summer to have the new roof put in. Thank you for sharing! I need to re-roof my roof soon, but I’m not sure when I need to do it. That being said, I really appreciate you sharing with me when the right time is to do a roof. I definitely agree with you on this whole thing! Thank you for the information on roofing and also the information on the best time to get estimates and repairs done. I guess that it makes sense that fall would be one of the worst times to look at doing your roof. This post really helped us! Great advice! You should always plan ahead (if you can!) when it comes to roofing. It will speed up the process and may save some money too. Thanks for the tips on roof installation! I’m looking to have my roof redone and I’m not sure when to plan it. I live fairly far north so it sounds like winter is out, but I’ll take your advice and go for sometime in the fairly slow summer months. 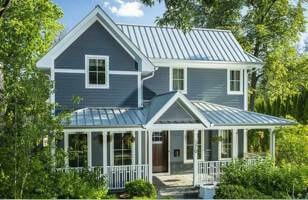 Awesome idea on having a metal roof installed during the winter. I knew that having asphalt shingles put in during the winter was a bad idea, but I never thought about metal roofing! This sounds like a great way to save money and get an awesome deal and fast work done. Hello! Thank you very much for this article on new roof installation. There are many benefits to doing this kind of project in proper order. 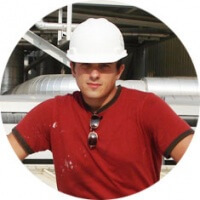 Even if you are looking for the lowest price during off season, its still best to hire a reputable guy. I had to get a new roof installed and I did it during the super slow winter months. The snow really didn’t seem to bother the roofers and they were able to do a great job. I didn’t have to wait very long and I didn’t have to worry about them leaving my job to go work on another one.